In small bowl, mix yogurt, feta cheese, parsley, lemon juice and salt. 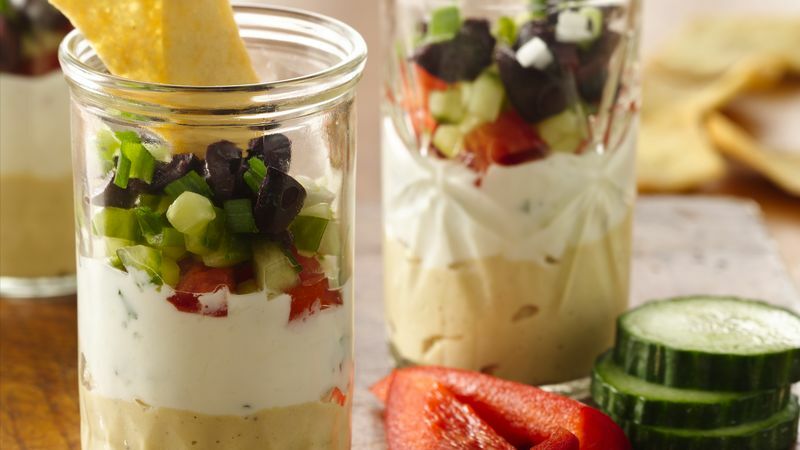 Into each of 8 (2- to 3-oz) glasses, layer 2 tablespoons hummus, 1 heaping tablespoon yogurt mixture, 1 tablespoon tomato, 1 tablespoon cucumber, 1 tablespoon olives and slightly less than 1 teaspoon green onions. One container Greek plain yogurt can be substituted for the lemon yogurt.